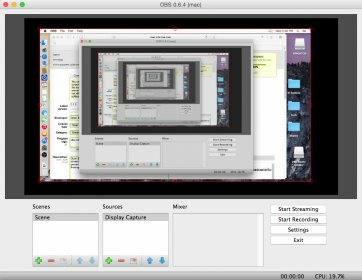 Video streaming application for the Mac. It allows you to browse your Aperture or iPhoto library from your Apple devices. Listen to radio stations online. Listen to your favorite radio stations directly from your Mac. Real TV on your PC and it's absolutely free! App that can stream video to iOS devices. SopCast for Mac is based on the lastest SopCast p2p engine. Streaming radio player for 5 stations (6 in the UK). Great app that allows you to stream video to iOS devices. World Radio Lite gives you access to one hundred online radios. Stream videos to your iOS devices. Play any movie file from your Mac instantly on your TV via Apple TV. RadioClock is an application that lets you listen to online radio stations. Watch various TV channels on your Mac and mark favourites. Listen radio music from your Mac. RabbitTVP makes it easier than ever to watch TV shows, movies, events, etc.